A few institutions have recently raised voices to try to debunk some of the banking legends that had appeared and became conventional knowledge as a result of the crisis. Here’s an overview. “The sharing of resources (and brand, expertise, and economies of scale) means we view most banking groups as being more than the sum of their parts,” the report said. It said disrupting these benefits could lead S&P to have a weaker view of the group as a whole and to lower its credit ratings on some parts of the banks. S&P said the complexity of separating functions “represents a significant operational challenge” for banks at a time of multiple other regulations. I cannot agree more. I have already written four long pieces explaining why intragroup liquidity and capital transfers were key in maintaining a banking group safe. Ring fencing does the exact opposite, putting those liquidity buffers and capital bases in silos from which they cannot be used elsewhere, potentially endangering the whole bank. Because of the impact on trackers, though, the lower ECB interest rates have not directly improved the banks’ profitability, because the average and marginal cost of bank funds does not fall as much. The banks’ drive to restore their profitability, combined with the lack of sufficient new competition, has meant that, far from lowering their standard variable rates over the past three years as ECB rates have fallen, they have (as is well known) actually increased the standard variable rates somewhat. […] These rates indicate that standard variable rate borrowers are still paying less than they were before the crisis, but not by much. A widening of mortgage interest rate spreads over policy rates also occurred in the UK and in many euro area countries after the crisis, but spreads have begun to narrow in the UK and elsewhere. Until very recently bank competition has been too weak in Ireland to result in any substantial inroads on rates. This chart exactly looks like what happened in the UK. Spread over BoE/ECB rates have increased, and increasing rates could actually translate into the same level of mortgage rates. This is because, as margin compression starts disappearing, competition can start driving down the spread over BoE/ECB. 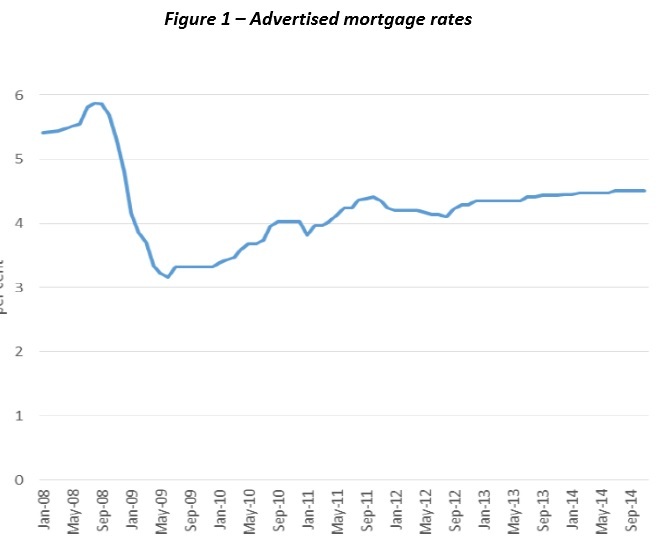 Households may have to remortgage to benefit from the same rates though. Regulators vs. ECB. This is getting interesting. In FT Alphaville, David Keohane reports a few charts from Morgan Stanley. 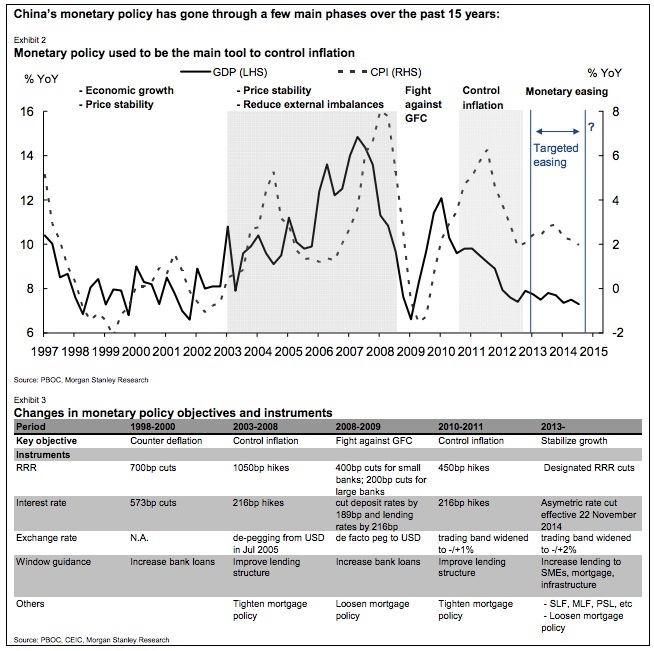 One of them clearly shows the Chinese Central Bank’s use of reserve requirements to manage lending growth. I’m sure my MMT and ‘endogenous money’ friends will appreciate.